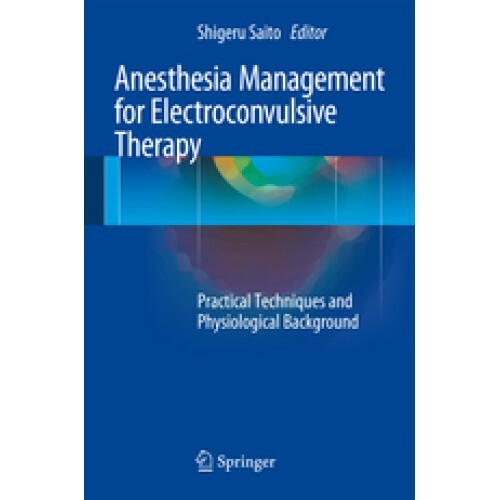 ​In this book, recognized anesthesiology experts present the latest findings on anesthesia for electro-convulsive therapy (ECT). With the development of modified electroconvulsive therapy (m-ECT) and devices to provide brief-pulse stimulation, ECT is currently being re-evaluated as an important procedure in psychiatric disorder therapy and is increasingly being used worldwide to treat several psychiatric conditions. This trend is due to the social phenomenon of the growing number of patients for whom ECT is applicable. Since the new approach is more safe and effective than the original method without anesthesia, m-ECT is currently applied under general anesthesia in most advanced countries. This book provides an overview and practice of total anesthesia management in the perioperative period of ECT. It offers an indispensable resource not only for professional anesthesiologists but also healthcare professionals who use this therapy.